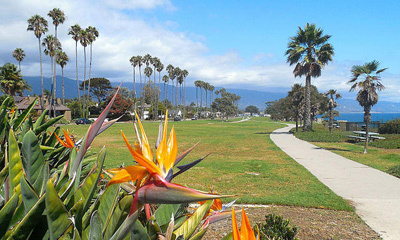 Shoreline Park is a linear grassy park located in the East Mesa neighborhood of Santa Barbara, CA. Below the park is a narrow rock and sand beach that is backed by steep cliff walls. These walls are pocked with small alcoves and other unique natural features to discover.